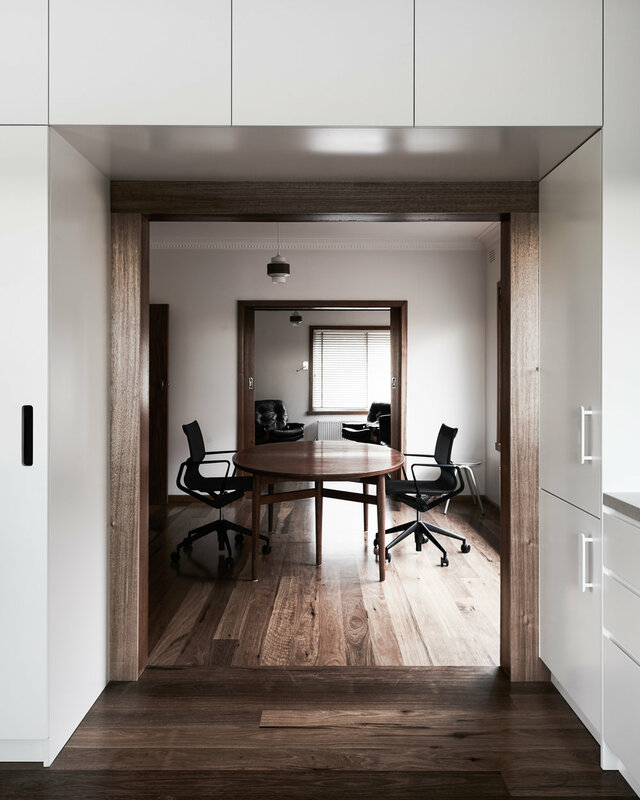 Minimal intervention and considered restoration of existing rooms and details brought the old building back to life. 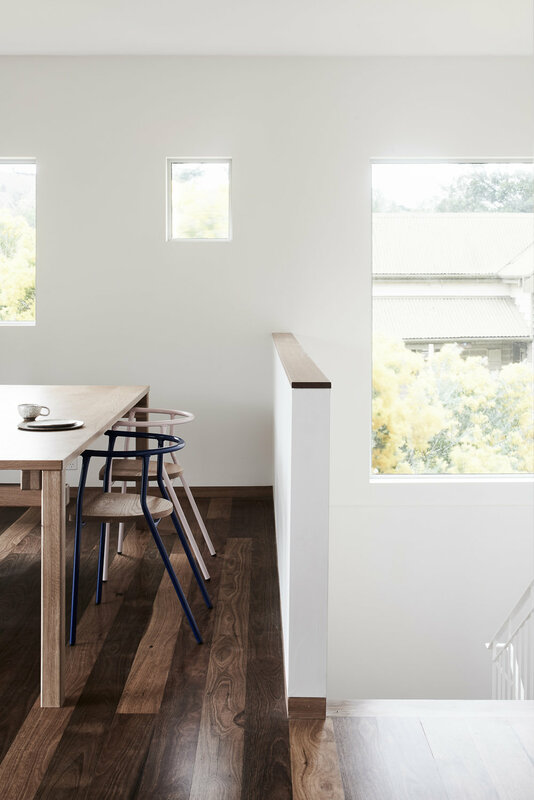 Refreshing and reorienting the living spaces the design improved the function, storage, natural light and cross-ventilation, dramatically improving the internal amenity. Making the most of the solid and well-built cream brick and concrete shell the new and old blend seamlessly. 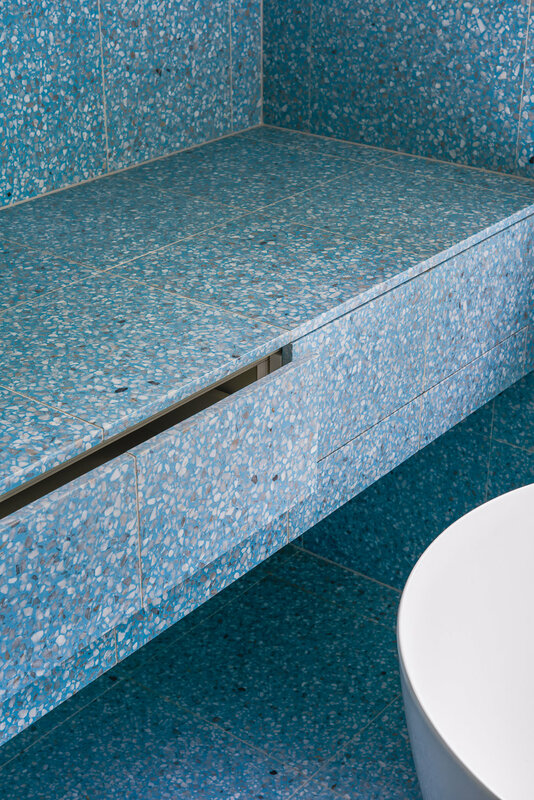 A vibrant blue terrazzo bathroom references the materiality of the period and existing front porch reinforcing the history of the home.